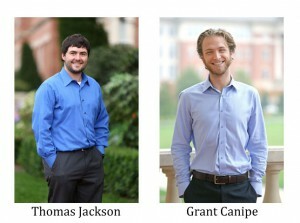 Congratulations to two members of the Cheatham Lab on having their abstracts accepted to Experimental Biology 2016. Thomas Jackson will present a poster on his abstract titled, "Supplementation with Choline Chloride in a Liquid Rodent Diet: Recipe Development for Differing Caloric Intake in a Fetal Alcohol Model". Graduate student, Grant Canipe, will be giving a 15-minute oral presentation on his abstract titled, "Effects of DHA & Choline Supplementation on Developmental Outcomes of the Typically Developing and Fetal Alcohol Exposed Rat Pup". Experimental Biology is scheduled for April 2-6, 2016 in San Diego, CA.